NOTE: Pioneers Camp is currently undergoing renovations and will be closed until further notice. 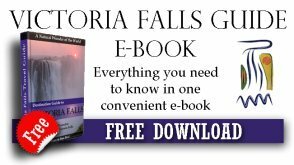 You may contact us for alternative options, or browse other Victoria Falls accommodation pages. 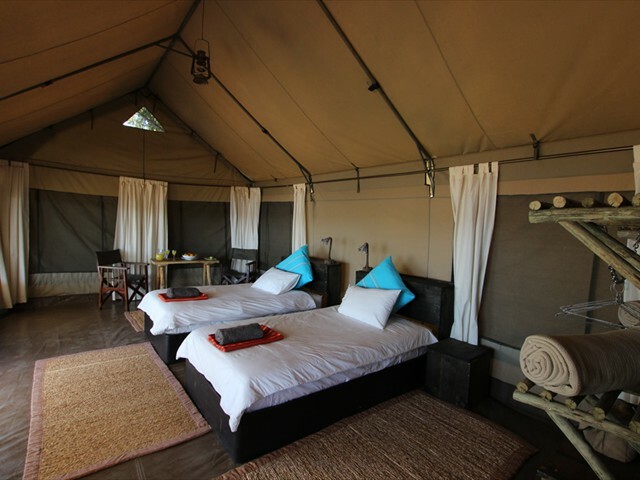 This camp is real value for money offering various activities and luxury accommodation within the park. Combine it with a few nights stay in Vic Falls town. Pioneers Camp is a permanent rustic bush camp, hidden away in a secluded grove of Ebony trees, right on the banks of the Zambezi River within the Zambezi National Park. 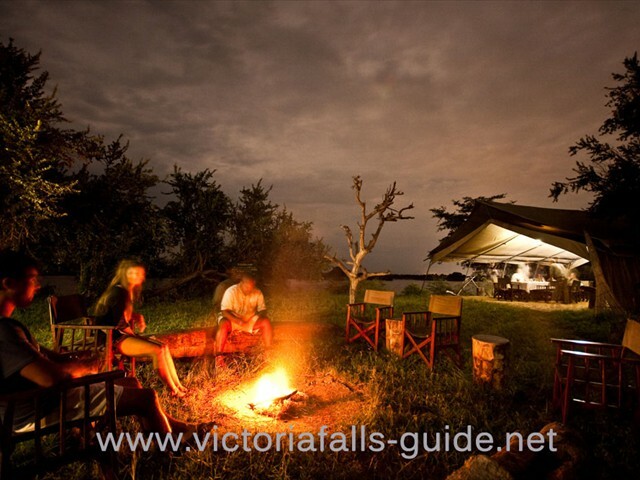 The camp is roughly 20km from Victoria Falls town, making it close enough for a day trip, but far enough into the Park to make it a secluded safari getaway. A natural spring line, emerging further inland passes through the middle of Pioneers Camp as it meanders its way towards the Zambezi River. The quiet flow of this Mpala Jena spring creates a beautiful wilderness, with elephants often marching through camp to quench their thirst. Giraffe, waterbuck, impala, warthog, kudu and many more are almost daily residences in the near vicinity of the camp. Large herds of buffalo are also part of the scenery, and if you are really lucky one of the members of the resident lion pride may show itself. Large mammals are not the only residences in this area, birdlife is prolific here - with many 'specials' to be found along the banks above and below camp, it is a birders paradise. Having six tented rooms, Pioneers camp offers simple luxury, with a rustic feel. Each room is positioned privately right on the edge of the river, with a stunning view of the river and a private veranda – it is a beautiful place to relax. The rooms are spacious and comfortable and have all the basic requirements, each with an en-suite bathroom and shower. The main 'Chill Tent', (as they call it) is also right on the river banks under a unique dome tent. Relax on one of the comfy sofas with a magazine or book from the small library and take in the incredible view – it’s great! A big selling point of the camp is that it’s completely run by Solar Power. Everything in the rooms and main area are powered by solar energy. Even the hot water is produced by the sun's rays. Being one of the only camps in Zimbabwe to have gone completely 'Green', its carbon footprint and impact on the environment is minimal. With enthusiastic guides, Pioneers Camp have a great area in which to conduct their game drives and game walks. But in my opinion the biggest highlight by far are the boat cruises where guests can explore the myriad of beautiful channels above the camp – hippos, crocodiles and other game are abundant and can be safely viewed from the boat. Fishing is also popular and often quite rewarding with this stretch of river being home to the renowned tiger fish. 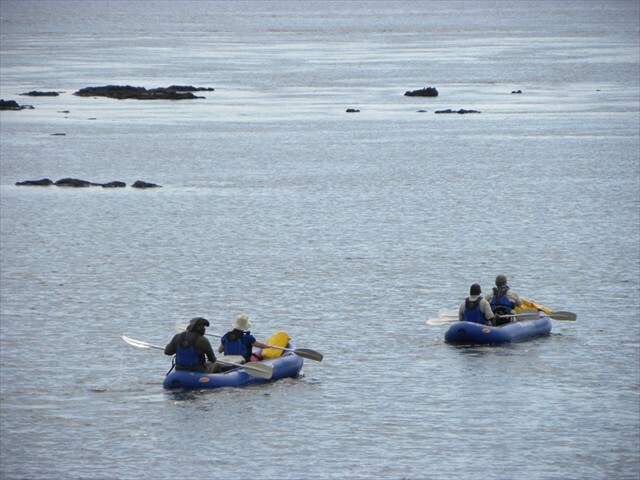 Canoeing is a big part of Pioneers and is a brilliant way to relax on the river. The fact that there is no motor or mechanical sounds, means animals and birds are far more relaxed with your presence. 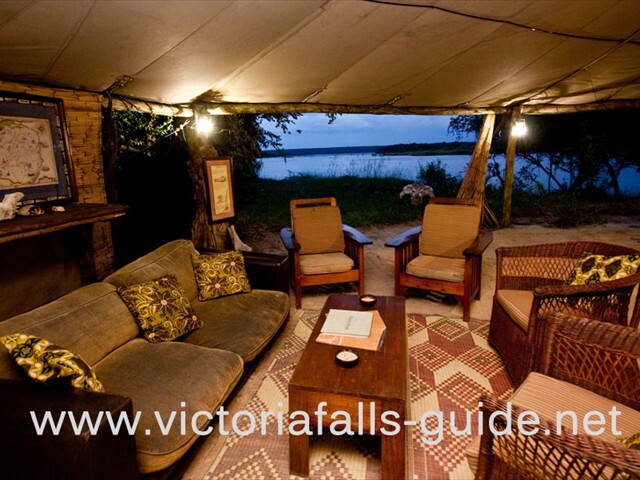 If you are planning on doing lots of the activities available in the town of Victoria Falls, I would advise adding a night at the beginning or end of your stay in one of the hotels in town and therefore recommend Pioneers as a one or two day add on to your Victoria Falls holiday. If you want to experience the Mighty Zambezi River at its best this is a great getaway. Transfers are arranged by Pioneers and guests will be collected from Victoria Falls town/hotels (these are included in the fully inclusive rate). 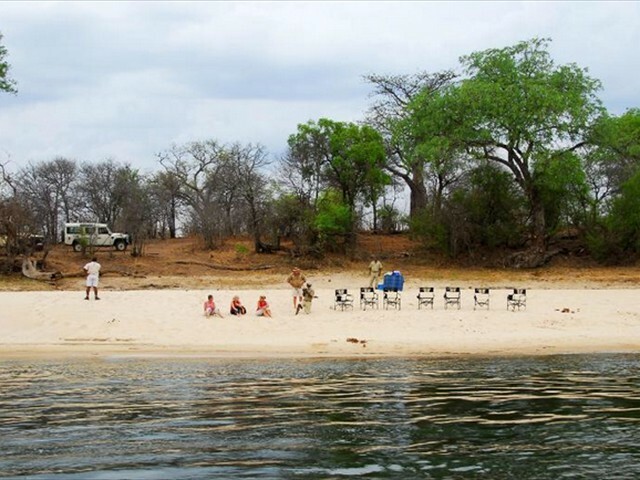 Self-drive guests are welcome by prior arrangement - it’s a 20km drive through the Zambezi national park.